How to Prevent Whiteheads: You Have 8 Things to Do! Closed comedones, or whiteheads, are a form of mild acne which as the name suggests, look like tiny white bumps that develop on the skin. Just like blackheads, they are caused by oil build-up, bacteria in the pores and dead skin cells. They occur commonly on the oily skin patches of the face area (nose, chin, cheeks and forehead). Treatment is fairly simple to do, but keeping up with good grooming practice will prevent them from ever appearing in the first place. Learn how to prevent whiteheads and treat them in this article. Let’s start by learning what exactly causes whiteheads. The main cause of whiteheads is clogged pores, and your pores can be blocked due to several reasons. A form of medication that changes hormone levels, such as birth control pills, will not only cause acne, but also the whiteheads. Menstrual cycles do the same to women as they could notice higher count of acne during certain stages of the cycle. What’s more, genetics play a role too, since it does affect how different acne types are developed, which include whitehead as well. If your parents have whiteheads, chances are, you are going to develop them too. Acne isn’t caused by dirt. Preventing whiteheads by excessive scrubbing and washing will not work. Instead, overly washing your face only irritates the skin and removes the essential oils, therefore worsening the acnes. Consuming greasy, oily food would not lead to acne. Cooking with grease, however, might mean that oils could splatter and get on your skin, clogging the pores. While stress does not trigger whiteheads, any existing acne problem will worsen. Twice daily, wash your face. Excess oil, dead skin class and bacteria trapped in your pores will lead to the development of whiteheads on your skin. Eliminating this substance build-up can be done by washing your face. Use non-oil based gentle facial wash twice a day, and avoid using body wash since it is too strong. Vigorous washing should never be done under any circumstance and rough skincare product should not be used, or you might risk the skin getting dried out and irritated. Never use oil-based makeup or other skincare products. They are terribly effective in clogging pores. 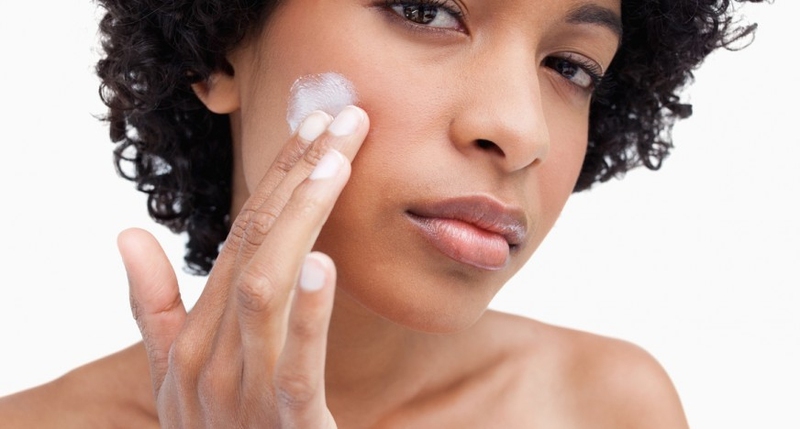 Find “non-comedogenic” skin care products for your skin. Those are non-oily, water-based and, therefore, does not add to the pores clogging. Then you should also make sure to properly clean any makeup sponges and brushes regularly. These are potential places people often miss where bacteria that cause acne might harbor themselves in. This should not be mentioned, but always remember to remove your makeup at the end of the day. Use a gentle cleanser and get rid of any leftover makeup properly. This will reduce the likelihood of clogged pores that lead to whiteheads by allowing the skin to breathe overnight. Exfoliating and washing your skin is excellent in keeping a supple, silky face. However, both can dry your skin if you aren’t sure with what you are doing. Apply moisturizer and the skin will retain the moisture and prevent drying out. Whiteheads aren’t only affected by oily and dry skin. It’s never a bad idea to have a moisturizer handy, no matter the type of skin. An oil-free moisturizer infused with salicylic acid is recommended. For how to prevent whiteheads, you should make sure your hair is washed well. Greasy hair will lead to more oil on your face, which increases the clogged pores. Wash your hair regularly, every two or three days to prevent unwanted damages unless your hair is especially oily. Along with regular face washing, excess oil build-up will be prevented on your skin. Never over-wash your hair since your body will counteract this by producing more oil, resulting in greasy hair. If you must wash it daily, change your shampoo to gentler ones or skip the shampoo altogether. When you are having a breakout, try applying the retinoid cream. Retinoid creams or its gels variant are rich in vitamin and are effective in treating most common skin problems, be it wrinkles and fine lines, even discolorations and scars, and, of course, dealing with acne problems. They clear up clogged pores and promote the growth of new skin cells, so they are pretty good at clearing whiteheads. The only downsides as far as we can tell are the irritation and skin turning slightly red when you start using them for the first time. However, the symptoms will be gone within a few days as the skin gets used to the cream. Retinoids do not only come as a topical cream but also in oral. If you need the extra boost to kill off the skin issues, try it. They reduce oil production and get rid of bacteria. But do ask your dermatologist if you should take it this way since they are only prescribed to treat severe cases of acne usually. Server responsed at: 04/18/2019 10:27 a.m.